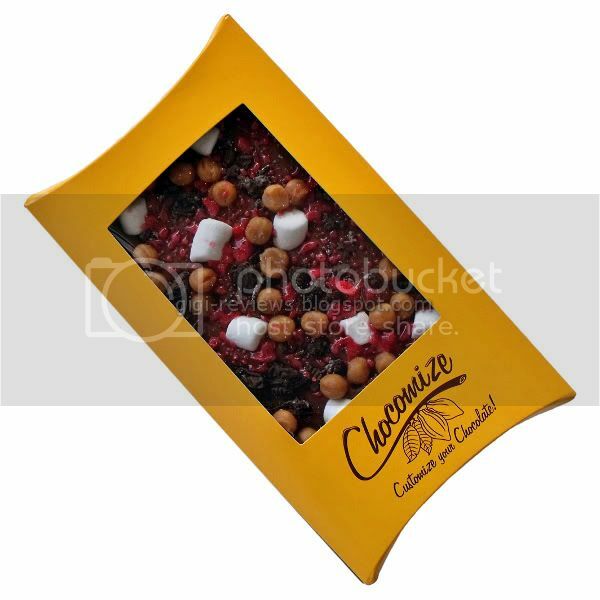 Once again, my thanks to the good folks at Chocomize for letting me run wild through their vast candy forest and create a bar that I am fairly certain could make even the most diehard four-year-old jealous. Anyway, it was that larval version of Gigi that I allowed to pick out the ingredients for this bar. If my actual 12-year-old self had been given the option, I think she would have gotten pretty much the same results. 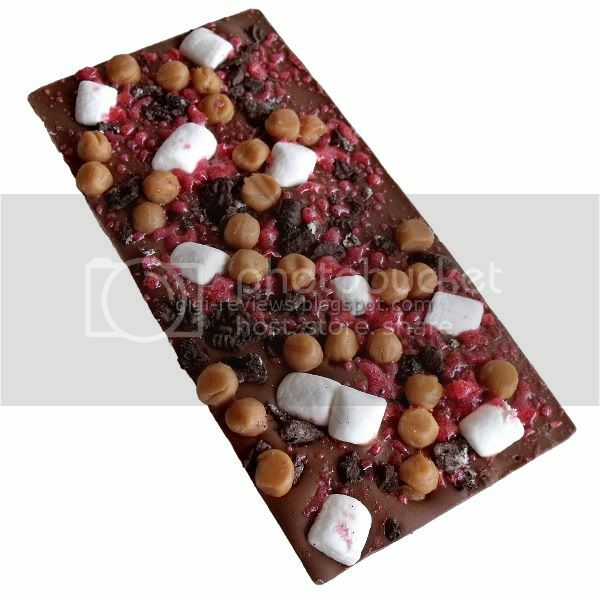 The "Sugar High" bar is a milk chocolate bar that is studded with Oreo pieces, Pop Rocks, mini marshmallows, and caramel pieces. As with any custom bar I review, I am rating the bar only on its individual ingredients and not the bar as a whole. I chose ingredients myself, and it's always possible that they could be great on their own but not in combination. Conversely,they could be great together, but because it's a custom-made bar, we are just rating by ingredients. Why? Because I said so. So there. 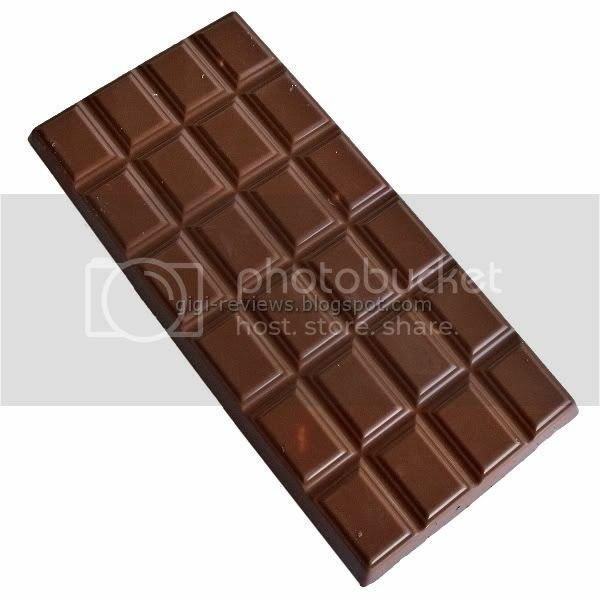 The milk chocolate base: Very milky and creamy with a smooth melt. It also is a very sweet, sugary milk chocolate -- in fact, it almost reminded me of Cadbury milk chocolate. I am not going to lie; there is throat burn -- and while I know that this doesn't bother some people, it does bother me. It's not bad enough to keep me from eating the bars with all their custom additions, but I would never eat just the plain chocolate all by itself. The Pop Rocks: I feel the need to apologize for the fact that the Pop Rocks look all melty (although it does look kind of cool in and of itself). They did arrive looking perfect, as the shiny little shreds you expect Pop Rocks to be, but thanks to my AC going out, along with some humidity, they became more goopy and opaque. Regardless, they still fizzed and had the cherry taste I expected. 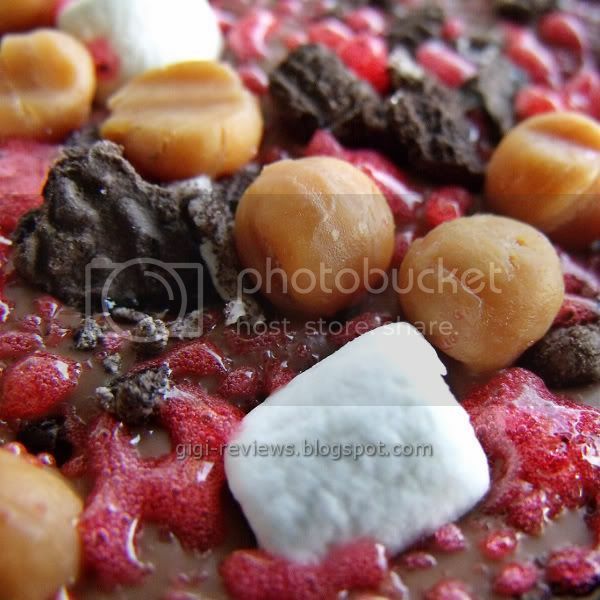 The fizzing was a lot of fun with the smoothness of the chocolate and the soft marshmallows. And the red added some nice color. The marshmallows: perfectly soft and smooshy! A hint of vanilla flavor. Yeah, marshmallows are just plain good. The caramel drops: The little pea-sized drops are chewy and...well, they are chewy. There's a tiny hint of buttery flavor, but mostly it's about the texture. And they look kinda like chick peas or hazelnuts. Which is cool, I guess. The Oreo pieces: chocolaty, crunchy, exactly what you expect Oreo Pieces to be. No surprises here. 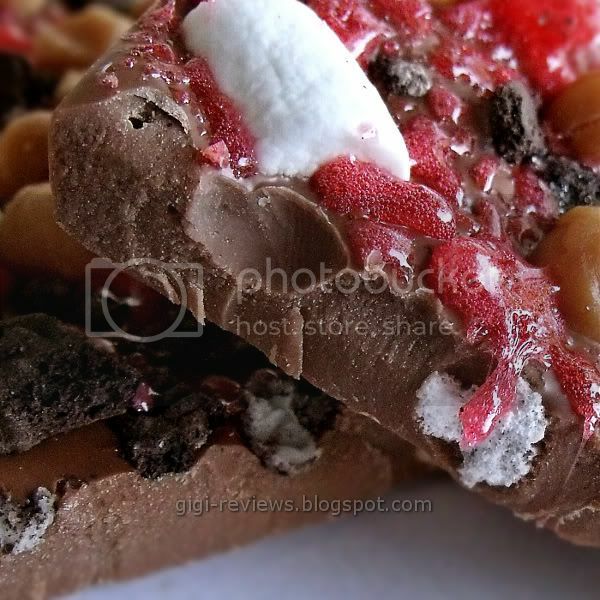 As a whole, I liked the ingredients enough to use them in other bars -- with the exception of the caramel drops. And even then it's not that it was all that bad...it just wasn't all that good. But marshmallows and Pop Rocks should definitely be used together more often. 130 calories per 1/5 of bar. May contain traces of milk, nuts, and gluten.